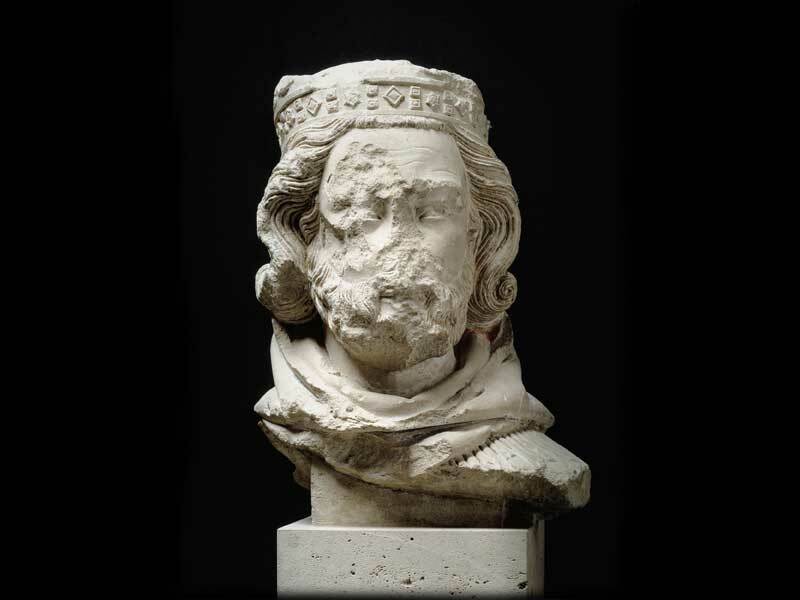 The exhibition, the result of a collaboration with the Musée de Cluny in Paris, is set up as the “exhibition dossier” dedicated to the theme of French Gothic sculpture of the 1200s and, in particular, to the construction site of the Cathedral of Notre-Dame of Paris. The Head of the Angel comes from the portal of the Coronation of the Virgin on the western façade, while the Head of the Magician King, the Head of a Bearded Man and the Head of a Female Figure, an allegory of a theological virtue, come from the northern arm of the transept. These four works, besides being testimonies of the highest quality of European medieval sculpture, are evidence of that moment of Gothic civilization indicated by Cesare Gnudi as “Gothic classicism” or “Gothic naturalism”, which had a strong influence at the end of the 1200s, also on the protagonists of the Gothic in Italia: Giotto, Nicola Pisano, Giovanni Pisano, Arnolfo di Cambio.